The Early Childhood Care and Education (ECCE) community has long understood the importance of the early years in developing the foundational skills and attitudes necessary for children to become engaged, global citizens. It is during the period from birth to age eight that children discover who they are, start to explore their own identity, and begin to appreciate the unique identities of others. By learning to be together and work together, they form the building blocks for global citizenship including fairness, empathy, tolerance, and responsibility. As children's perspectives expand to encompass their school, community, nation, and the world, they take the first steps toward adopting the mindset of a global citizen—one who recognizes that in an increasingly interconnected world, we all must learn to respect one another, work together to address shared human challenges, and take action to create a more peaceful, just, and sustainable future for all. After two flights and 20 hours in the air, leaders from the National Association for the Education of Young Children (NAEYC) arrived in Riyadh, Saudi Arabia. The immediate sight of palm trees and the sensation of a post-sandstorm breeze made it clear that we were a long way from home. But once we met our Saudi counterparts, it was evident that we were among fellow trailblazers in early childhood education who shared our dedication to the young children we serve. A new costing tool has been developed by a partnership of Brookings and the World Bank to address a gaping need for data in early childhood development services. A webinar hosted by USAID and The Global Reading Network on June 7, 2017 explained important work being done on inclusive education for children with disabilities in developing countries. It discussed USAID's disability and non-discrimination policies and the "All Children Reading: A Grand Challenge for Development" program, which funds projects that use technology and science to improve literacy skills in early grade learners in developing countries . Early childhood development can sound technical or overly complicated, a jumble of dozens of interventions across all sectors. Really though, it’s quite simple: giving each child all of the things he or she needs to grow up strong and healthy, feel secure, learn and succeed. ECD interventions are critical for ensuring that all children are given a fair start in life and an equal chance to reach their full potential, no matter who they are or where they were born. My daughter was five-years-old when we discovered her learning disability. She loved listening to books and being read to, but when she tried to read by herself she struggled with even simple words. She was so discouraged, that by the time she turned seven, she stopped reading. What is the role of technology in SDG 4: improving access to quality education? It's been nine months since the United Nations committed to the 17 Sustainable Development Goals "to end poverty, protect the planet, and ensure prosperity for all." It's a 15 year window of opportunity to achieve these goals, but how do governments, corporations, nonprofits, and individuals like you and me accelerate impact in each of these areas? A decade ago, The Nobelity Project began its first school partnership in rural Kenya. From a first purified rainwater system at a single primary school where kids had been walking long distances for drinking water that made them sick, our work grew into a variety of school infrastructure projects. As children all around the United States are in their last days of school, counting down to summer vacation, there are refugee children across the world who are desperately hoping to get back to school and learning. 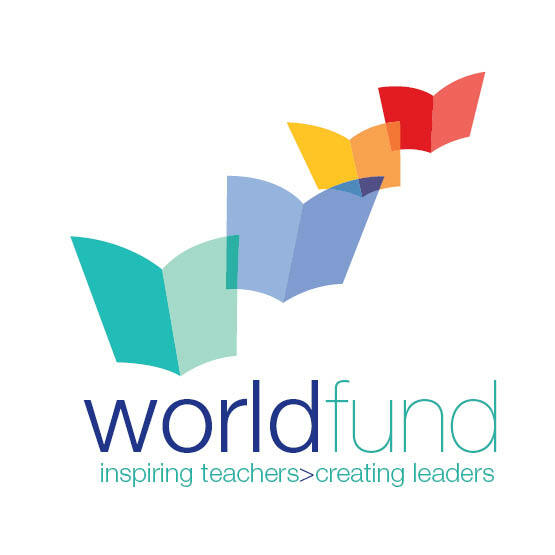 World Fund's mission is to deliver world-class training and ongoing support to teachers and principals from underserved schools in Latin America, fundamentally impacting the system from the bottom up.